Ever wonder how your employer is doing financially? In order to know how your employer is doing, you must follow the money. Bottom line is you should never wait till the end of the game to start keeping score. A great headline to say the least! This entry was posted in Uncategorized on July 20, 2018 by Michelle Eld. I always love reading books on how to get ahead in business and achieving success in general. That’s why this article: “28 Top Business Books to Get Ahead In 2018″ caught my attention. It’s been proven that reading can significantly improve your health and wellness, including mental sharpness, stress levels, sleep quality, empathy and positivity. Check it out. The plot details for Joker have been few and far between so far, but this unique new DC installment has a release date of October 4, 2019. 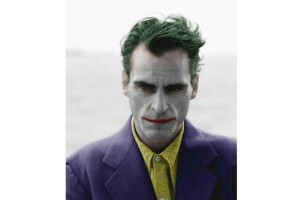 Joaquin Phoenix is slated to play the famed DC villain, playing a man named Arthur Fleck before turning into the Clown Prince of Crime. Can’t wait for this one!